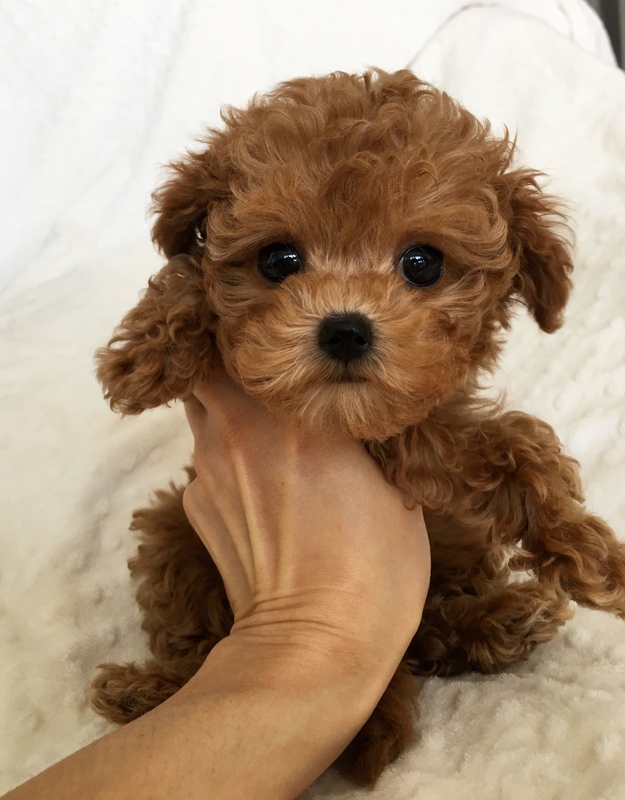 RARE Teacup Red Maltipoo Puppy, baby doll! This is Lil Ruby. She is 14 weeks old, and estimated to be around 3.5-4lbs full grown, possibly less. She has so adorable, and has a true rare red coloring, shortest lil nose, perfect face and personality. She looks like a stuffed teddy bear. She is very sweet, doesnt bark, and will melt your heart. She has started potty training. She comes with a one year health guarantee. She is up to date with his shots and ready for her new home. If you’re interested, you can email us at iheartteacups@gmail.com or call (805) 613-7868 SERIOUS INQUIRIES ONLY. Thank You!! CLICK HERE FOR MORE PICS OF RUBY!